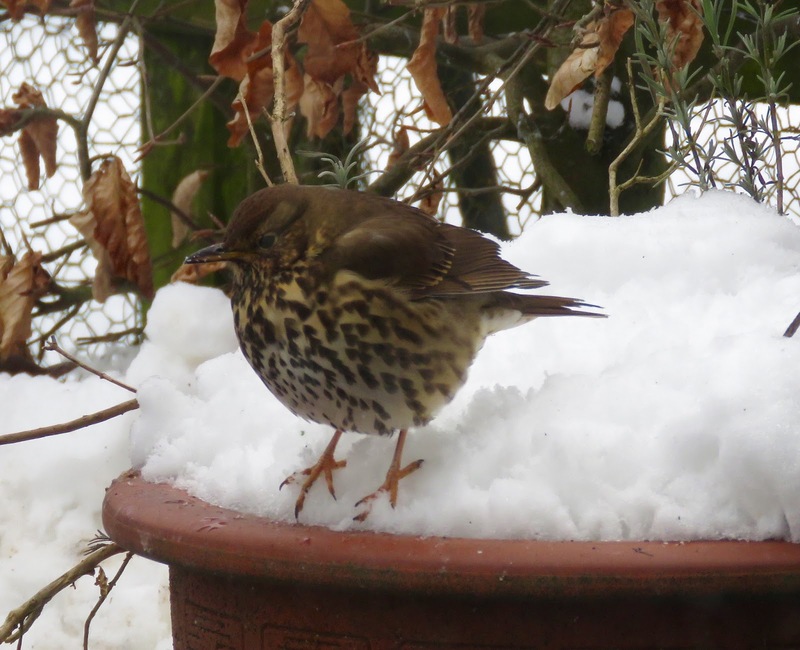 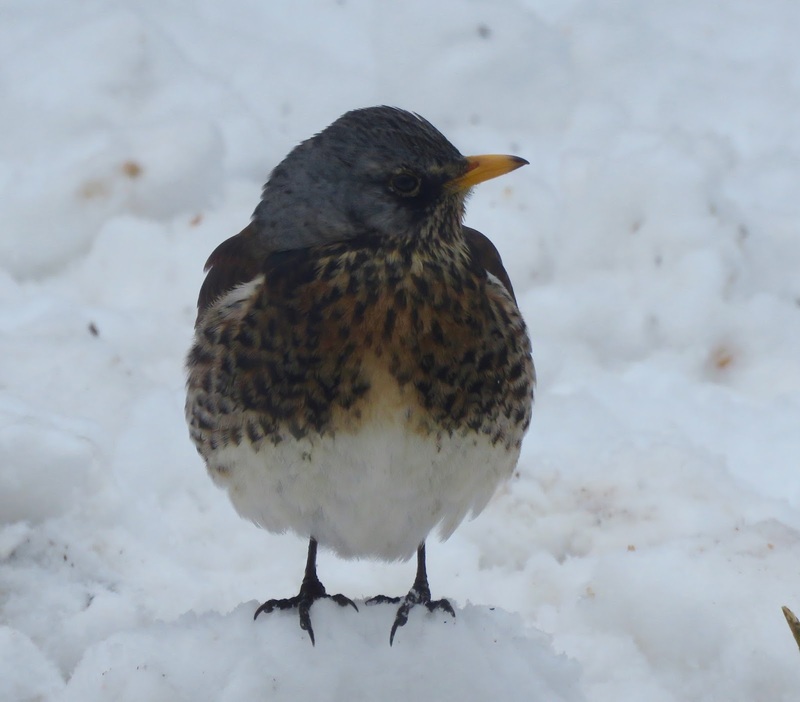 I had many interesting visitors to my feeders during the recent snow storm including fieldfares and song thrush. 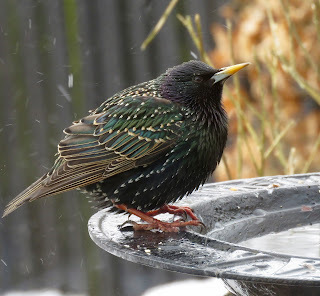 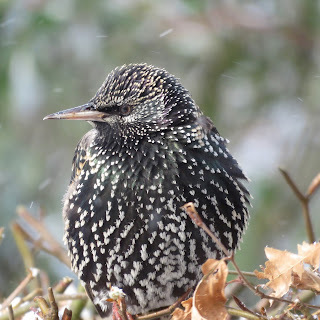 However, the birds that provided many hours of enjoyable watching were the flocks of starlings that visited the feeders during the four days of snow. My feeders and bird cake provided much needed food. 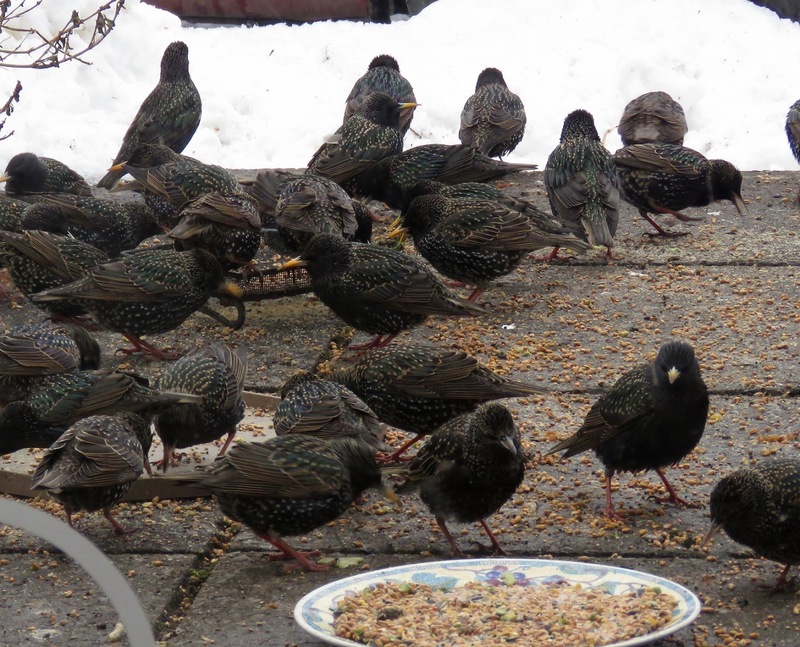 On the first day of the snow a flock of about 20 starlings came to feed and the numbers increased day by day. 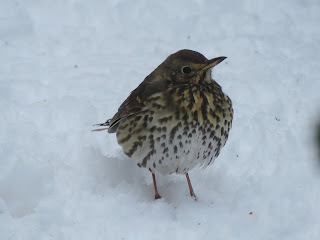 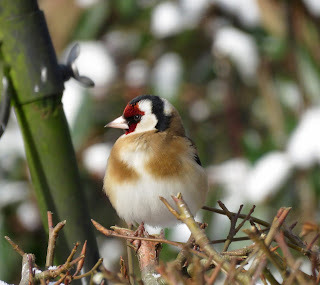 On the final day of the snow I had a flock of 70 birds visit the garden. It was a real pleasure to help these lovely birds survive the terrible weather and they provided hours of entertainment! 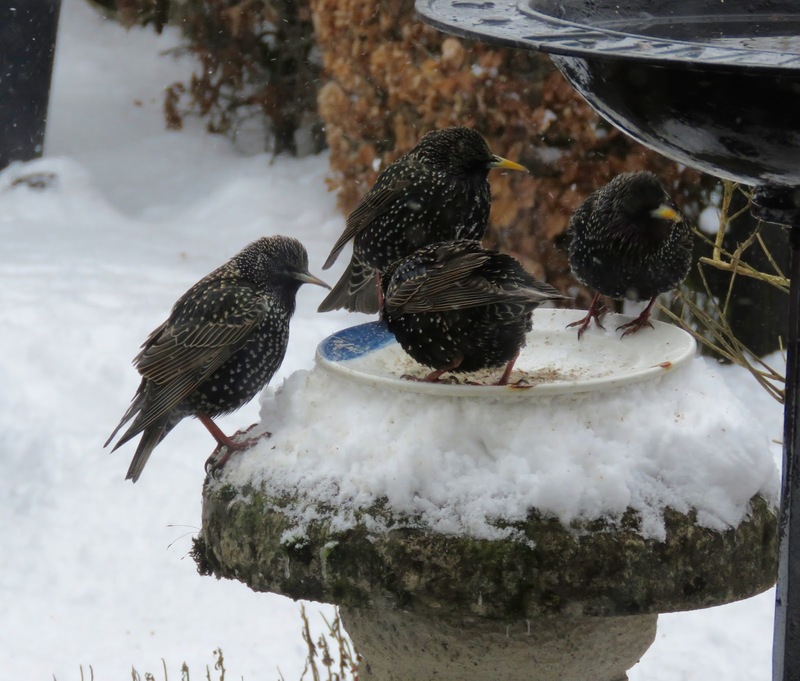 I miss not having them around anymore but intend to place a couple of nest boxes in the garden to help our breeding birds as starlings are now on the amber list of birds of conservation concern due to a moderate decline of the breeding European population. 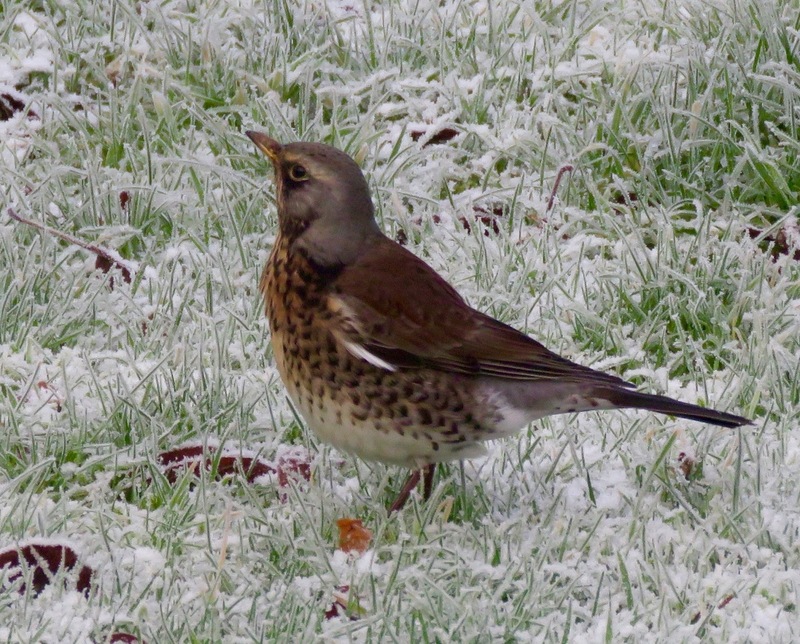 Also great to see fieldfares and song thrushes come to the feeders!